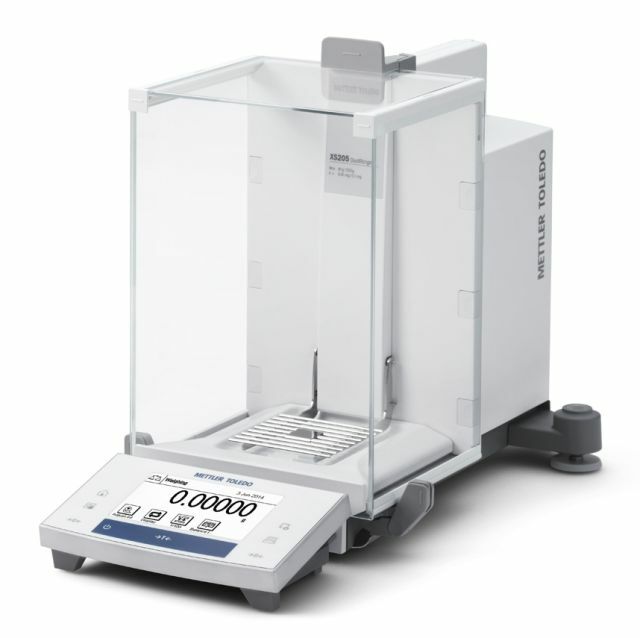 The Mettler Toledo XS225DU dual range analytica/semi-micro balance has a dual capacity of 121/220 grams with a dual readability of 0.01 milligrams 121 grams and below and 0.1 milligram above 121 grams to full capacity. 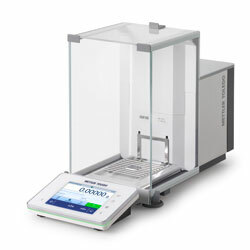 The Excellence XS analytical balances sets new standards in weighing performance. SmartGrid, the revolutionary grid weighing pan, sucessfully minimizes the effects of turbulence in the weighing chamber. Results are more accurate and stabilization times dramatically shorter. ErgoClips, the brilliant accessories for the grid weighing pan, allow secure placement of all tare vessels - for maximum weighing efficiency. 81 x 73 mm / 3.07 x 2.87"